EURUSD is chiefly under the influence of ECB meeting in Eurozone and Construction Spending (M/M), ISM Manufacturing and ISM Prices Paid in the US. This pair has been moving with bearish bias within the descendant channel since the previous high at 1.16155. 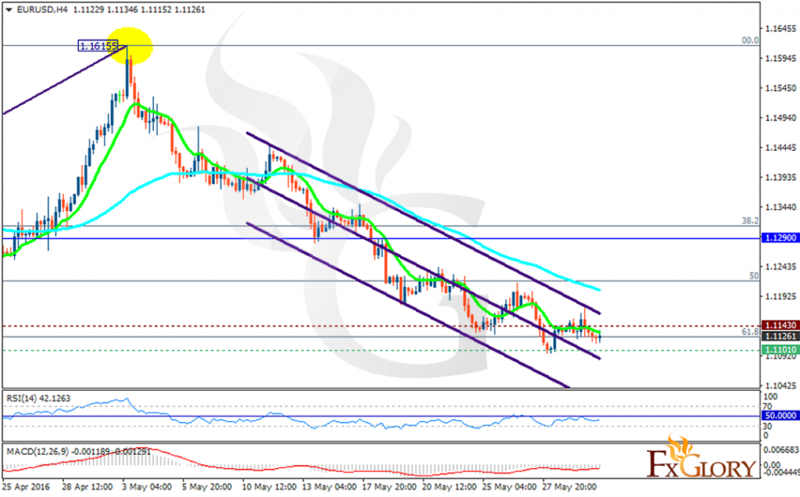 The support lies at 1.11010 with resistance at 1.11430 which both lines are below the monthly pivot point at 1.12900. The EMA of 10 is staying below the EMA of 75 confirming the recent bearish movement. The MACD indicator is in negative territory and the RSI is below the neutral zone. The pair may continue its downward trend however it has already passed 61.8 of Fibonacci retracement so there might be a rebound at any time. The support level breakthrough can pave the way for further decline to 1.10 however the resistance level breakout can be a good sign for buyers.